Our NEWTechnical knee protectors have increased durability and improved shock absorption. 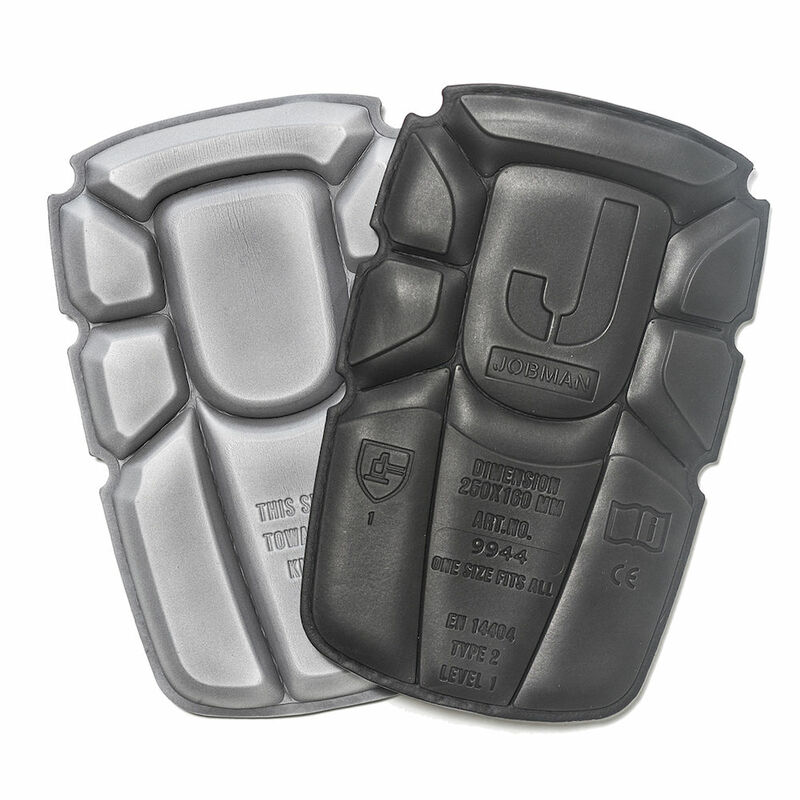 These removable kneepads fit in the built-in kneepad pockets of our JOBMAN workpants. With this pad/pocket system your kneepads are always in place!. Please note these work only with pants that have kneepad pockets built-in. Rated for up to six hours on your knees. Purchased these knee pads to go with the flooring installer pants for my husband for Christmas. Wow!! What a great experience with this company! Customer Service was amazing. They checked in with me on delivery and through the entire order process and even after the items were shipped to make sure I got them and were satisfied. I cannot say enough good things about the company and the quality of the products they sell! 100% satisified! The knee pads moved quite a bit during the first 2 days. They are just a touch smaller than the knee pocket on the pants. they did save my knees during an installation in Norway where I spent most of time on my knees driving bolts. They are ok but not great. These knee pads are just uncomfortable. Even new they aren't as comfortable as the old, red style knee pad that is no longer available from jobman. After just two weeks the pad was worn down to almost nothing. These knee pads don't do these pants justice!